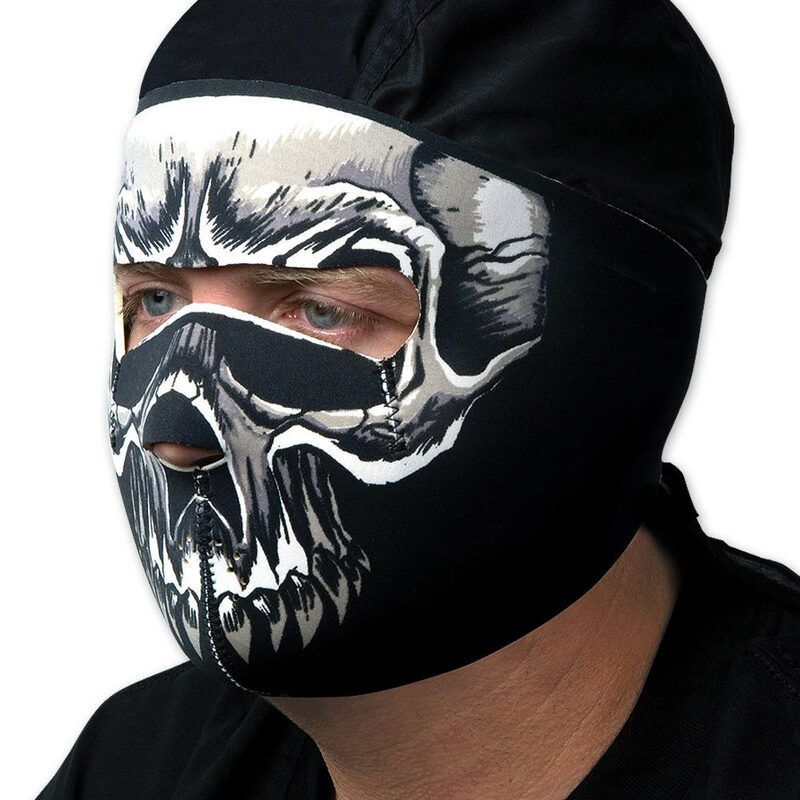 Outrun the cold with this Scorned Skull neoprene facemask. Light weight, neoprene constructed with velcro closure. One size fits most. very fun mask, got it just in time for the cold weather. snug fit. I wear my black stocking cap for the top of the head. nice fit on the face and comfortable. Great mask but could use another strap to keep it in place. Nice design, but I have a little trouble keeping it above my eyes. Can be fixed with some tinkering. I've had mine for a few winters now and it's great. Holds together after it's washed and last's. Keeps your face nice and warm too, i had to put a hole for straws and cigarettes but that's just me. Design is awesome, but the mask doesn't stay on very well, it slides down your face, and then prevents you from seeing. needs a second velcro strap higher up on your head. It is a sick mask, nice and warm. it narrows a little quickly in the back. though since this is the first mask of this type i have purchased I didn't know exactly what to expect. So i really have no problem with this mask. great wind breakers great quality PERFECT PRICE THANKS TRUE SWORDS!!! !